With firm commitment to quality, we are engaged in offering superior grade Non Vacuum Tube. Under this category, we offer EDTA Tube (Non- Vacuum Tube), Fluoride Tube (Non- Vacuum Tube), Clot Activator Tube (Non- Vacuum Tube), No Additive Tube (Non- Vacuum Tube) and Gel And Clot Activator Tube (Non- Vacuum Tube). 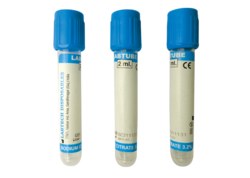 Our offered range of these tubes find their wide use for collecting, transporting and analyzing blood, plasma & serum. These non-vacuum tubes are highly appreciated by the patrons for their features like light wight, effectiveness and durability. 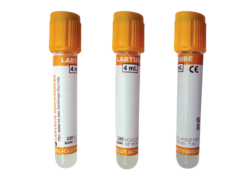 Action principle and advantage: Coagulation tubes are filled with buffered tri-sodium citrate solution. The mixing ratio is 1 part citrate to 9 parts blood with advantage of high accurate blood-to-additive ratio. 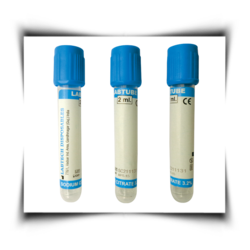 It can provide an excellent condition for the blood coagulation studies. Invert : Invert the tube for 6 – 8 times gently. Clinical hematology test and blood banking. Action principle and advantage: EDTA can effectively chelat the calcium ion of blood, therefore it can prevent the blood coagulation, does not affect the count and size of the leukocyte and keep erythrocyte invariable. 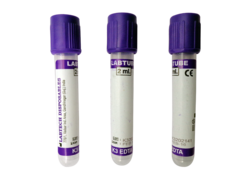 Routine & special biochemical test from plasma. Action principle and advantage: The anticoagulant heparin activates anti-thrombin, thus blocking the coagulation cascade and produces plasma. 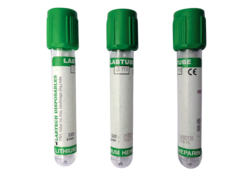 Suitable for the analysis of blood glucose & lactate. Action principle and advantage: The additive EDTA potassium salt which can chelate the calcium ion of blood prevents the blood coagulation. Sodium fluoride control the glycolsis. Clinical Biochemistry serum test serology and immunology test action principle and advantage: Gel & Gel + Clot Activator Tube is coated with micronized silica particles which cause blood to clot rapidly and the barrier gel can effectively separate the serum from fibrin and cells, while preventing substance exchange between blood cell and serum. Owning to its Gel + Clot Activator, it is better for keeping the original character of the blood and solving the problem of hemolysis. Clinical Biochemistry Serology and immunology test. Action principle and advantage: Clot Activator tube is coated with micronized silica particles which cause blood to clot rapidly. 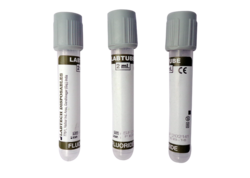 It can provide enough and non-polluted serum specimen for clinical test. 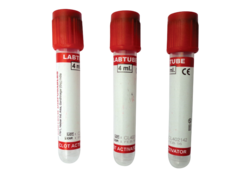 Looking for Non Vacuum Blood Collection Tube ?